Kamala Harris, California’s Attorney General, made history Tuesday night, becoming only the second black woman to be elected to the U.S. Senate. 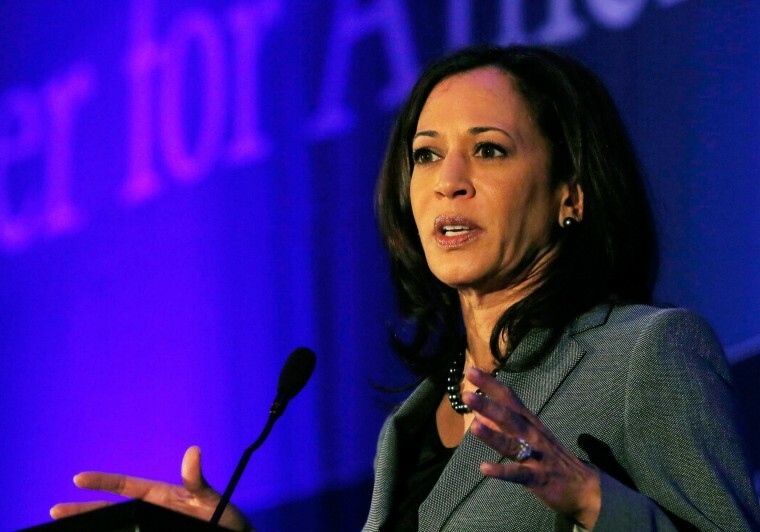 Harris, 52, entered the Senate race after Barbara Boxer announced her intention to retire. The Democrat became an early front-runner in a crowded primary field. While 20 African-American women currently serve in the House of Representatives, there hasn't been a black female senator since Carol Moseley Braun of Illinois served one term from 1993 to 1999. Harris’s platform includes such issues as criminal justice and immigration reform, creating good-paying jobs, enacting family leave and equal pay policies, college affordability and universal pre-kindergarten for children and tackling climate change. Journalist Donna Owens sat down with Harris early in her campaign for a wide-ranging interview. Here are a few factoids about the next woman to represent the Golden State on Capitol Hill. Born in Oakland, Kamala (it’s pronounced COMMA-la and means lotus flower) is the eldest of two daughters, born to an Indian mother and a Jamaican father. She has one younger sister, Maya Harris, an attorney and senior policy advisor for Hillary Clinton's campaign. As an undergraduate, Harris attended Howard University, an historically black institution in the nation's capital. The political science/economics major was on the debate team, joined Alpha Kappa Alpha Sorority, Inc., and got her first taste of campaigning. “My first run for office was at Howard University, where I was elected freshman class representative of the liberal arts student council. Running a campaign at Howard was tough! I remember walking up to strangers,” she recalled “asking them to vote for me.” From there, Harris earned her juris doctorate at the University of California, Hastings College of the Law. Post-graduation, she launched her career as a Deputy District Attorney in Alameda County, California. In 2003, she was elected District Attorney of San Francisco, serving two terms. In 2011, she was sworn in as Attorney General, becoming the first woman and person of color to hold the prestigious post. Harris hails from a small, tight-knit clan. She married attorney, Doug Emhoff, in 2014. Besides her roles as a wife, sister, stepmom, aunt and godmother, she’s a mentor to college students. She counts President Barack Obama among her circle of friends.